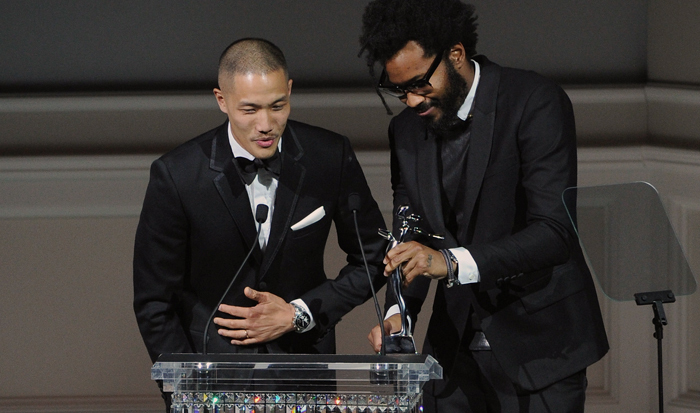 It totally took me by surprise when I woke up this morning to the whole CFDA Awards aftermath. I also couldn't believe I hadn't heard of Public School NYC before! 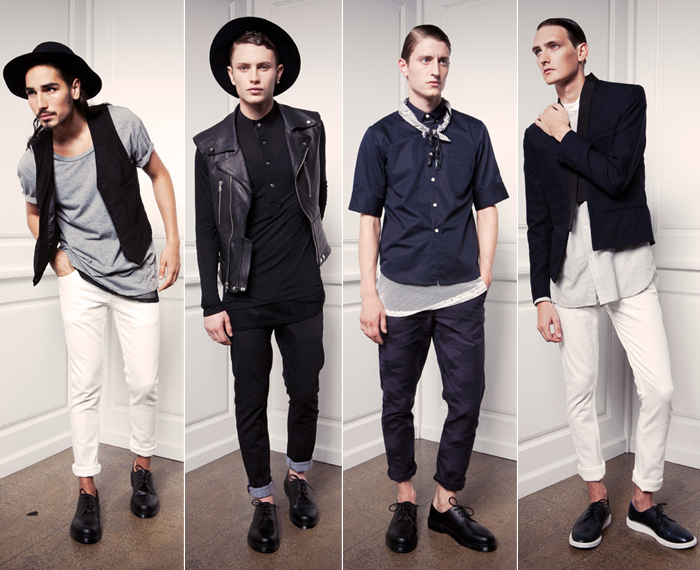 The NYC-based brand received last night the Swarovski Award for emerging menswear talent. And very rightfully so! Dao-Yi Chow and Maxwell Osborne, the designers behind the brand, had previously worked at P. Diddy's fashion line 'Sean John' before launching their own in 2011 and first showing their FW13 collection in New York last February. The designers are part of the CFDA's Incubator Program, which help them set up the domestic production that helps define their brand. With factories in Brooklyn, Queens and Manhattan it's no wonder that New York City is their main source of inspiration. Unlike a lot of contemporary menswear brands, Public School NYC has a very down to earth point of view, which chimes with the direction menswear is currently going (and it's absolutely up my street). The style it's edgy and the silhouettes modern but never loud. It's got an understated attitude with a polished streetwear influence. Chow and Osborne tried to get away from luxury fashion because "when you say luxury, there’s a bit of fantasy in it, and there’s no fantasy in what we do", they say. And this really reflects on the prices. Despite being manufactured in NYC and using excellent materials such as Japanese and Italian denim, the brand has really competitive price tags starting at around $150 and only reaching the $1/2K mark for the (stunning) leather outerwear pieces and the tailoring. Make sure you visit their website for a look at their FW13 collection. You can also check their list of stockists, which for the moment are all in the US, but a few of their pieces are available to buy online and are delivered internationally. I personally recommend their denim pieces.